W/S Repair is GREEN ! ﻿Fix a Chip – Help the Earth. All vehicle windshields are made of two sheets of glass bonded onto a layer of plastic – ‘polyvinyl-butyral’ – ‘PVB’ . Due to the bond between the glass and the plastic, the practical recycling of windshield glass is years away. Broken windshields go straight to a landfill. Keep your windshield out of the landfill. Windshields weigh about 40 pounds each. 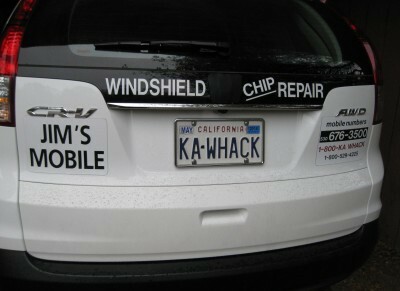 I repair an average of 700 windshields a year. That’s 28,000 lbs – 14 tons of unrecycled glass not going into a landfill. Want to help? — Tell a friend !